Oukaimeden is a community in the High Atlas Mountains of Morocco. Its meaning is derived by the winds that meet it's high plateau from all directions. This meaning became significant as LANDinc was lead into the world of North African High Atlas mountain climates and environmental conditions, that became the foundation for understanding the opportunities and constraints for community and recreational development. 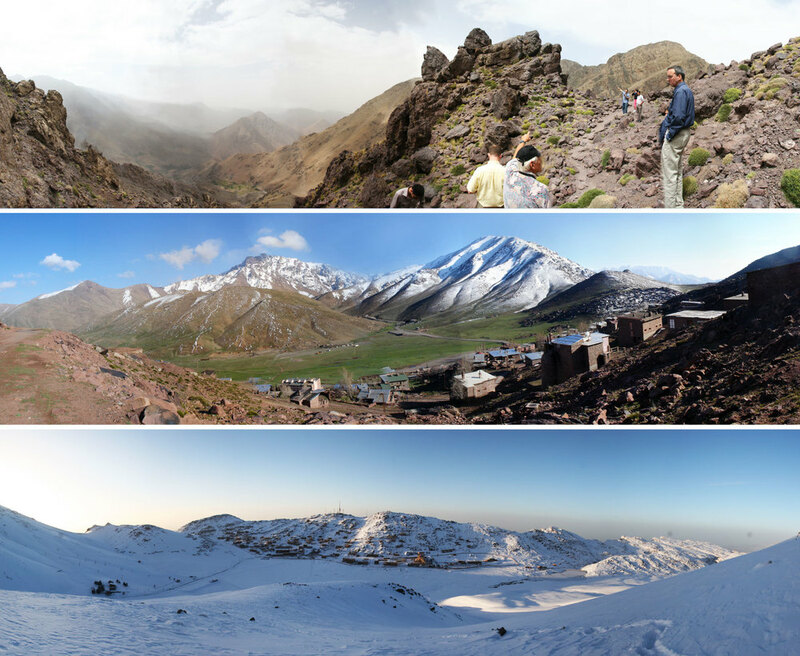 This four seasons mountain community was planned to be uniquely Moroccan, unquestionably Berber and one of a kind; a global destination that celebrates the rich culture, environment and history of the High Atlas Mountains in a sustainable, social-economic environmentally balanced way. A thorough program of site investigation and analysis was conducted by the design team lead by LANDinc. This work addressed existing conditions including hydrology, geomorphology, archeology, ecology, solar exposure and mountain slope orientation, topography and most importantly cultural patters of the site that were defined over 2,000 years ago and still in use. 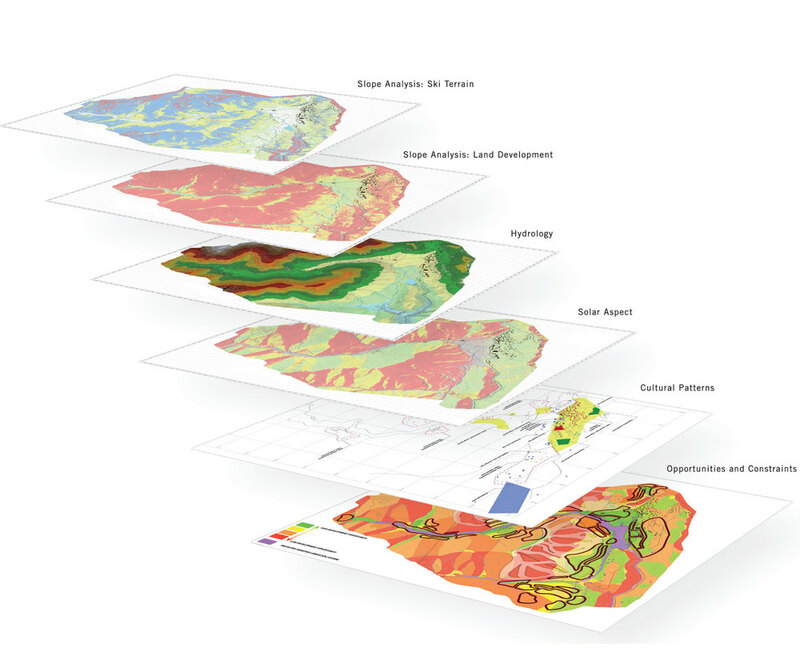 Cultural authenticity was a guiding value for the project, that limited development zones to less sensitive areas defined by computer modeling and composite mapping of the many layers of information. 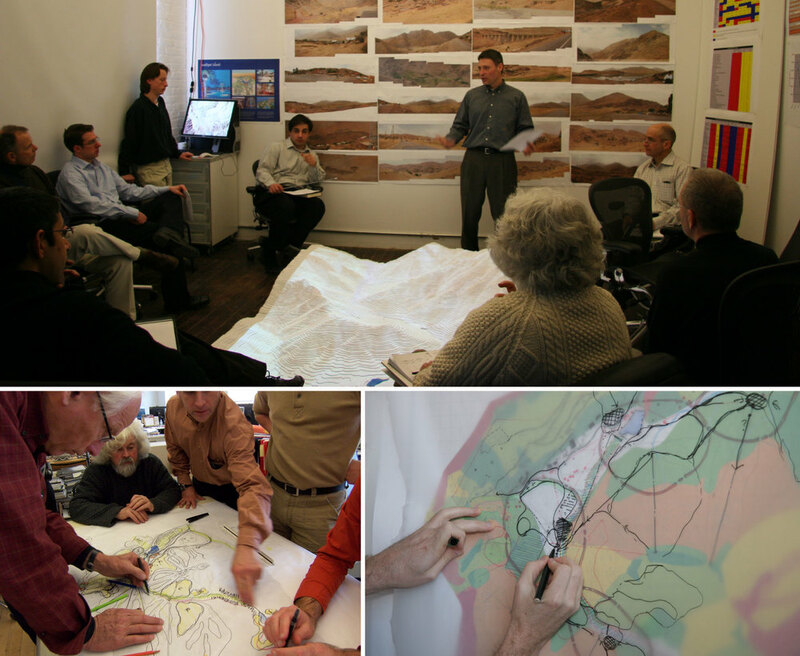 Strategically preserving open space systems of the valley helped define and create value for much of the real estate. Connected to the community, were amenities such as a 9 hole golf course and trail system to the east; an open alpine meadow and grazing lands in the center of the village, a nomadic trail / open space system that leads to the west pass; a nomadic open trail over the aquifer recharge zone south of the main medina village and an open corridor through the equestrian center zone. The final feasibility portion of the project incorporated Engineering data from the LANDinc team to develop a full costing model including material, methods, and implementation strategies.